I have an exclusive Off Market Opportunity for you or maybe someone you know. Also, I've got some interesting news on the Bay Area Real Estate Market and how a Facebook Expansion is going to impact our housing shortage. You wouldn't believe how many hoops my clients are jumping through to get what they want, especially in today's hot market. With a ton of guidance from me we have turned dreams into realities. Here's a glimpse of their stories. Below I've also included my market forecast and graphic showing the current trend of the market and a news article about Facebook. 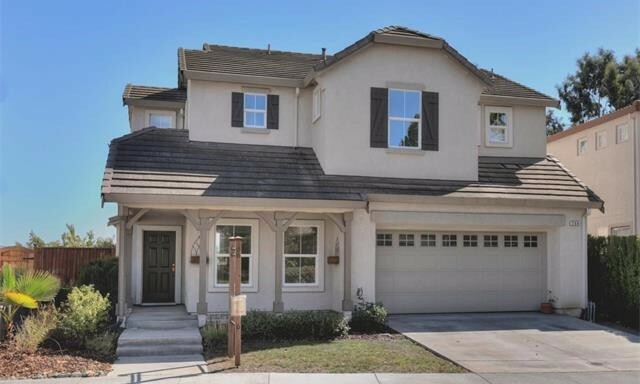 Gorgeous 4 bedroom 3 bathroom 1,800 sqft home with an amazing view of the foothills. Multiple offer situation, and I got it for my clients. It was their FIRST WRITTEN OFFER! I saved them time by advising them properly on what kind of offer to write to dramatically increase the chances of gaining offer acceptance. 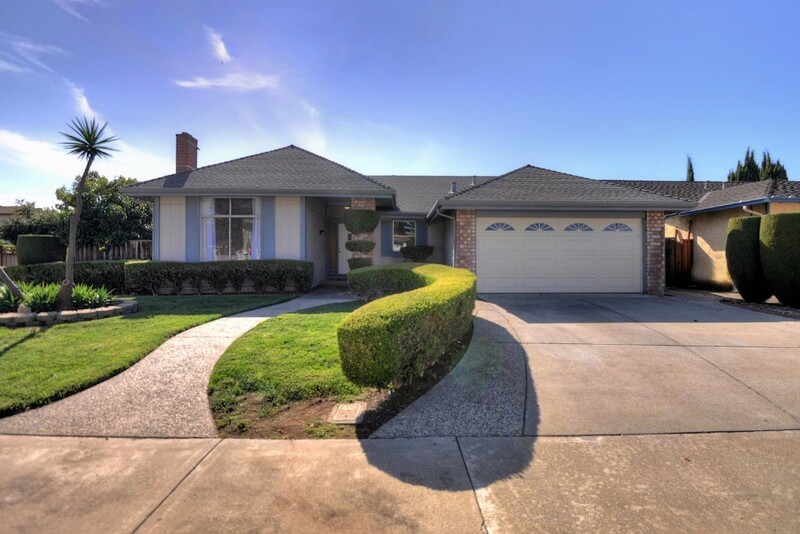 MY SELLER GOT 14 OFFERS AND $102,000 OVER ASKING! For an overseas seller I managed a heavy duty rehab of their investment property involving a ton of cleanup, new floors, new paint, a lot of repairs and full staging in order to maximize their sales price and their profits. I estimate that I put about $45,000 more into their pocket than what they could have done without me. 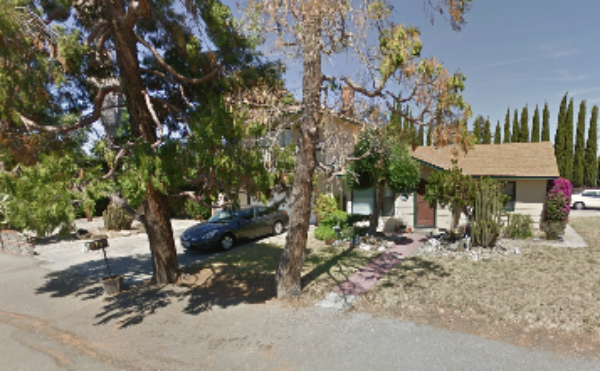 I obtained 14 offers and sold $102,000 over the asking price for my seller! 3 bed 2 bath, 1,838 sqft on a 6,000 sqft lot. Check out my 360 degree marketing pics! 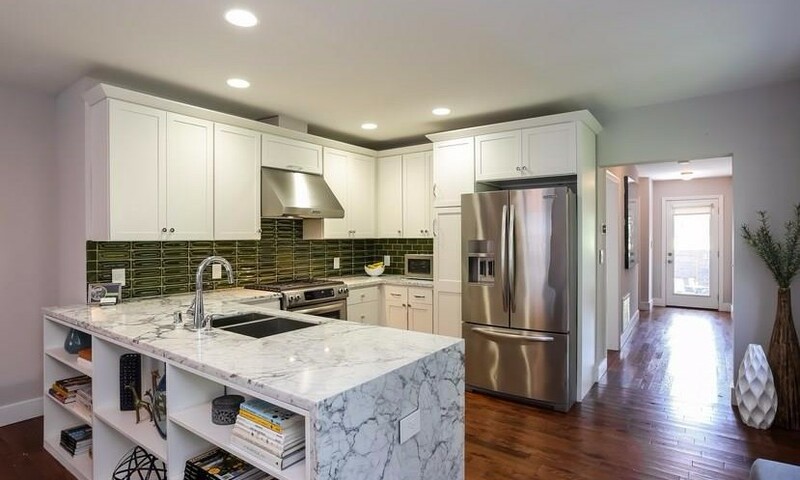 2 bed 2 bath, 1,073 sqft completely remodeled home. BEAT OUT 5 other offers. Won the bid and WAS NOT the highest price! First written offer for my client! They didn't waste their time writing offer after offer that didn't get accepted. 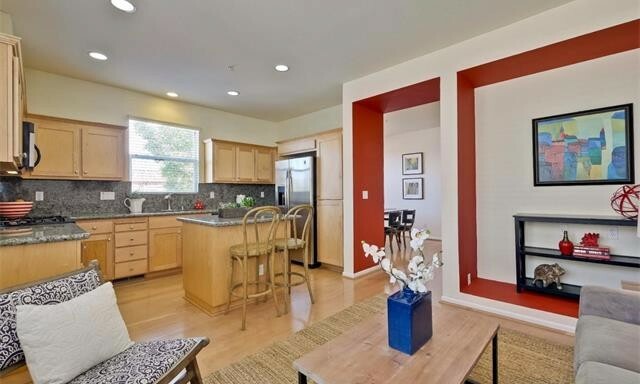 2 bedroom 2.5 bath, 1,352 sqft townhome near Japantown. BEAT OUT 4 other offers. This was my client's FIRST written offer! We found them the perfect home and I helped them get it against fierce competition. Inventory in the Bay Area is continuing to decline from the high's we saw from June through August and purchase activity actually rose over the past 30 days. Assuming this trend continues throughout the end of 2016 I predict prices will rise over the foreseeable future. 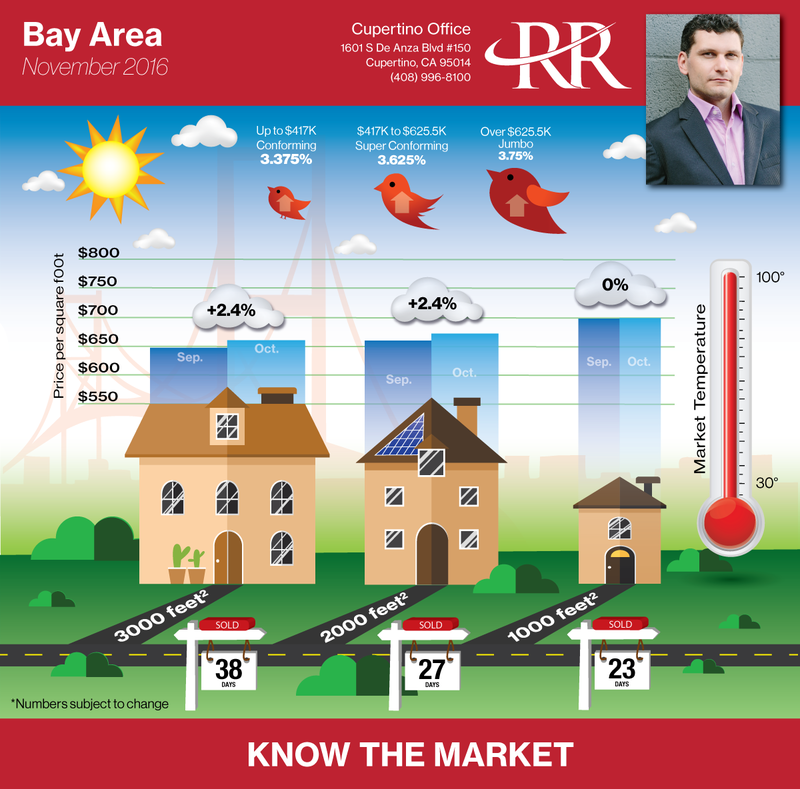 See my graphic to check out the trends of different home prices across Silicon Valley. The real estate market is perfect right now for move up buyers. There are fewer multiple offers than before so a buyer who needs to sell before buying has a great chance of getting their offer accepted. This trend should continue through the end of 2016. Menlo Park approves Facebook expansion along Bayfront - Project will bring in 6,550 more workers, 2 new office buildings and a 200-room hotel. Menlo Park has approved Facebook expansion plans that will add 6,550 employees, roughly 1 million square feet of office space and a 200-room hotel along the Bayfront Expressway.